Unsurprisingly given its sporting pedigree, the Manchester MIPIM stand tends to attract high profile retired footballers attempting to make strides in the property world. Last year it was Gary Neville, this time Rio Ferdinand. Both have captained Manchester United and England and both have a vested interest in property, particularly Neville who is building a sizeable portfolio. This year’s annual gathering was again held in Cannes, with tens of thousands of people from all over the world flocking to the south of France for five days. While the weather was up and down - storms and sunshine - the mood of those attending was fairly mild. Without 2015’s raft of fresh announcements, this year was much more about debate and leaders discussing how best to continue to drive innovative, forward thinking progressive schemes such as Corridor Manchester, and of course, how they tie in with the Chancellor’s Northern Powerhouse vision. Over three days, discounting Monday’s arrival, and Friday’s departure, many influential people in the property sector told stories at their respective stands. Whether that be Manchester, Chicago, Copenhagen, Liverpool, Leeds or Istanbul – storytelling was the theme. At the MIPIM Manchester stand, Allied London’s Mike Ingall spoke of a new joint up concept called the ‘Whitworth Arc’. His vision is for Allied London’s London Road development, as well as Capital & Centric’s Kampus scheme, Bruntwood’s Cornerhouse, HOME and MOSI to all complement each other ‘so Manchester’s brilliant story’ so far, will become even better and capture people’s imaginations. For me, this kind of ‘joined up thinking and working together approach’ summarised the conference. 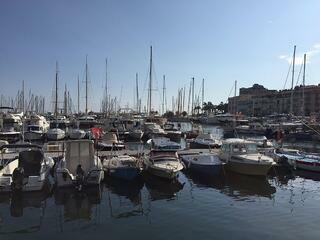 MIPIM is no longer about the bread and butter - meetings, deals, socialising. Speakers who take to the stand, particularly in the Manchester section of MIPIM where I spent the majority of my time, reveal how and why they are developing certain schemes. Rupert Goddard, partner at architect Sheppard Robson, spoke about the ‘fascinating interaction between arts, science and living’ along Corridor Manchester, the 243-hectare area that runs south from St Peter’s Square to Whitworth Park along Oxford Road. If it wasn’t for Corridor Manchester, Sheppard Robson, who have historically worked on numerous Corridor schemes including the Alan Turing Building, Contact Theatre and Citylabs, the company may not have opened a Manchester office. But because the Corridor became a symbol of some of what Sheppard Robson has achieved in Manchester, they did open a city centre office which continues to flourish today. Another Roland Dransfield client, Bilfinger GVA, were responsible for one of Manchester at MIPIM’s main headlines. During a Northern Powerhouse debate, Regional Senior Director Mark Rawstron revealed that £6bn of investment activity had taken place in northern cities in less than two years since. Other Roland Dransfield clients including Ask Real Estate and NJL Consulting were out in force for MIPIM 2016. Interesting thoughts from a company which will go live with one of the biggest ever reserved matters planning applications in the country in May – on behalf of Peel Land and Property’s Greater Manchester Strategic Waters sites. For now, I’ll leave you with property boss Mike Ingall’s thoughts which he expressed during a talk at the Manchester stand. "People want experiences now, not the same old thing,” he said. “If we can cleverly join up these developments it gives people a story to buy into – and all cities need stories."